Find your passion for sewing with the newest addition to the Q-Series line-up, the Innov-ís NQ550PRW. This is the perfect classroom machine as it offers flexibility and convenience at the most affordable price. 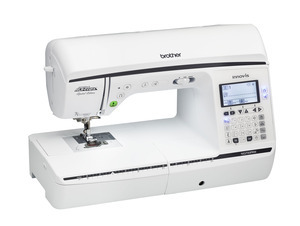 Its professional-grade quality allows you to expand your sewing capabilities to new levels. Feel the difference in sewing with longer feed dogs for better stability and enhanced fabric control. The Affordable Professional Line, Find your passion for sewing with the newest addition to the Q-Series line-up, the Innov-ís NQ550PRW. This is the perfect classroom machine as it offers flexibility and convenience at the most affordable price. 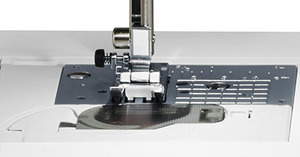 Its professional-grade quality allows you to expand your sewing capabilities to new levels. Feel the difference in sewing with longer feed dogs for better stability and enhanced fabric control. 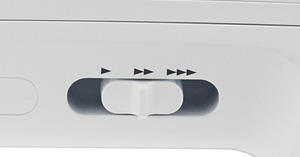 PLUS, enjoy the easy access to your machine settings as everything is displayed externally. 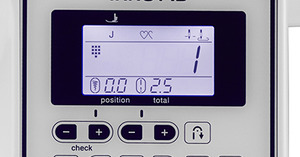 For the beginner or the experienced seamstress, the Innov-is NQ550PRW from the Q-Series has a 14% larger workspace* and improved sewing with longer feed dogs and the included zigzag foot. The Innov-is NQ550PRW offers convenience, flexibility and quality all at an affordable price you’ll be sure to love! 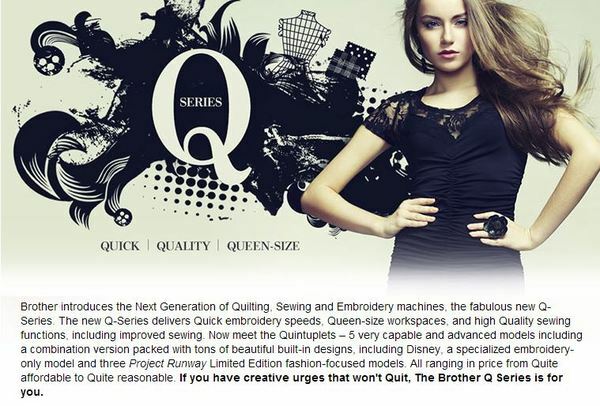 Quilting Is Even More Fun & Easy with Q Series Special Features. Our machines are built to quilt. Longer J-foot and Feed Dogs powerfully feed fabric. Securely feed fabric through with longer contact. The wide work table is perfect for large projects. There's so much to love about the Q series. Watch to learn more! LCD Size (Horizontal x Vertical) inches	2.4" x 1.3"
Work Space (Height & Width) inches	4.1" x 8.3"
Machine Dimensions (H x W x D)	18.9" x 9.8" x 11.8"
Optional SASEBQ Q-Series Rolling Bag Set. A two-piece set, rolling bag with an embroidery arm bag.